Pat Bertram, author of Daughter Am I, A Spark of Heavenly Fire and More Deaths Than One, says when the traditional publishers stopped publishing her favorite type of book — character and story driven novels that can’t easily be slotted into a genre — she decided to write her own. Shelagh: Hi Pat, where are you from and how does your background influence your writing? 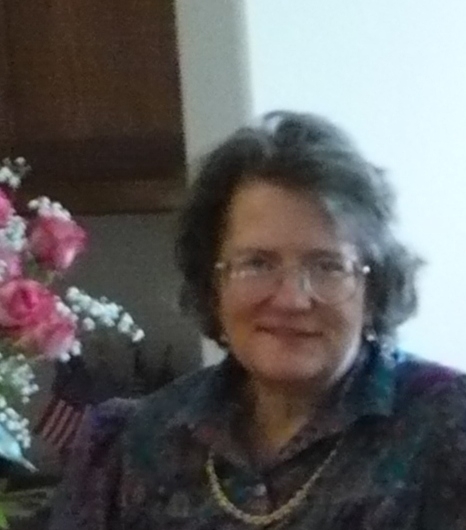 Pat: I was born in Colorado, and I’ve always lived there except for a very brief stay in Wisconsin. Because the Rocky Mountains form the backdrop of my life, they figure prominently in all of my books. Pat: I used to write many years ago. I always had words in my head, and then one day they just disappeared. I have no idea why, really. Perhaps the shock of discovering I had no innate talent zapped them out of my head. I started writing again about eight years ago — by then I was used to the idea that I had no particular talent for writing, and since I wanted to write anyway, I decided to learn the craft. I wrote almost everyday, and I read hundreds of books about writing, editing, publishing, and promotion. I don’t write in any set genre — I write the books they way they need to be written, and then I struggle to find a genre afterward. They all have a mystery and a romance at the core, though none of them are mysteries as such, and none are romances since there is no real romantic conflict. Pat: I had no goals when I started writing. Well, that’s not strictly true. I wanted to make a fortune, but I discovered early on that very few writers were ever able to quit their day jobs. Still, I enjoyed writing, mostly because it took me away from the worries of my every day life. You know the old joke about everywhere I went, there I was? Writing is the one thing you can do that gives you a vacation from yourself. Pam: Daughter Am I is a stand-alone book, though I like the characters so much that if the novel were ever to sell well enough to merit a sequel, I might write one. 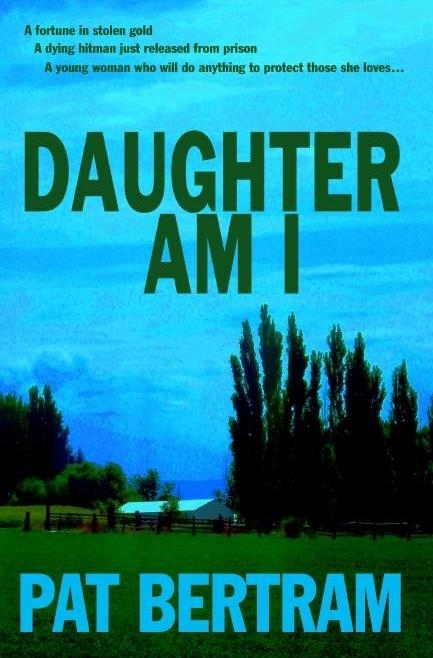 Shelagh: What’s the hook for Daughter Am I? Pat: When twenty-five-year-old Mary Stuart learns she inherited a farm from her recently murdered grandparents — grandparents her father claimed had died before she was born — she becomes obsessed with finding out who they were and why someone wanted them dead. Poor Mary — she starts out so young and innocent and ends up driving through the Midwest with a carload of aged gangsters and conmen. Add in a secret room, buried treasure, and a boyfriend who is anything but romantic, and you’ve got plenty of hooks! Shelagh: Who is the most unusual/likeable character? Pat: That is a hard question! All the octogenarian gangsters in Daughter Am I are unusual and likeable in their own way. There’s Teach, who sells bullets he claims came from the shoot-out at the O.K. Corral. There’s Kid Rags, who still works as a forger. There’s Happy, a trigger-happy ex-wheelman for the mob, whose hands shake so much he can barely aim let alone shoot. That’s only three of the octogenarians — there are seven feisty old gangsters all together. Well, six gangsters and one ex-showgirl. Shelagh Have you written any other books besides Daughter Am I? Pat: Two others are published. 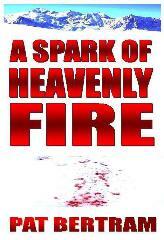 A Spark of Heavenly Fire is my favorite, perhaps because it’s the book where I first learned I could write. 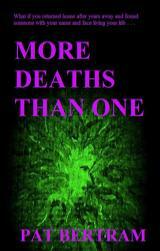 The story takes place during an epidemic when people are dying in vast numbers from an unstoppable disease. Some characters try to escape quarantined Colorado, others try to figure out who created the bio-engineered disease, but my hero Kate Cummings struggles to find the courage to live, to love, and to help those in need of food and shelter. She is truly a spark of heavenly fire during the state’s dark hour of adversity. In More Deaths Than One, Bob Stark returns home to Denver after living for eighteen years in Southeast Asia. While reading the current newspaper one sleepless night, he discovers an obituary for his mother. This comes as rather a shock, because she died and he buried her before he left the country. My favorite line that I’ve ever written is from that book: And Lydia Loretta Stark was dead. Again. Shelagh What are your current projects? Pat: My WIP, which I call my work-in-pause because I haven’t worked on it much at all this year, is a tongue-in-cheek apocalyptic allegory. Talk about a book with no genre! Mostly what I’ve been doing is learning how to promote. I’d like to introduce my novels to readers, but that is hard to do if no one has ever heard of the books.